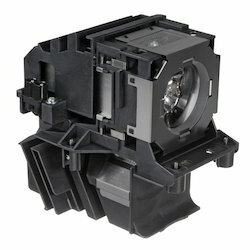 Prominent & Leading Wholesaler and Trader from Chennai, we offer DLP Projector Lamp such as Viewsonic DLP Projector, Toshiba Projector Lamp, Avio Projector Lamp, Barco Projector Lamp, Benq Projector Lamp, Canon Projector Lamp and many more items. Our company is extremely engaged in trading and wholesaling a comprehensive range of Benq Projector Lamp to our valuable clients. Extensively used in schools, institutions, offices and other related places, this super bright lamp is sourced from reliable vendors of the market. 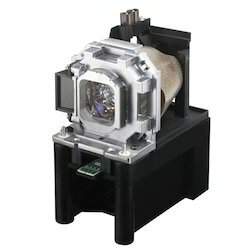 At vendors' end, the offered lamp is designed for all major multimedia projector and rear-projection television brands. Apart from this, our provided lamp is widely acknowledged among our clients for its flawless functions and affordable price. Can project for hours without switching off. Our company deals in the trading and service providing of Canon Projector Lamp. 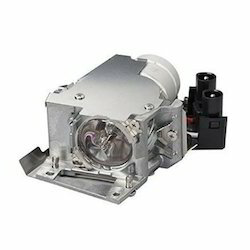 Designed to be used for long period of time, these projector lamps are manufactured at par with the set industry standards and are designed to perfection. 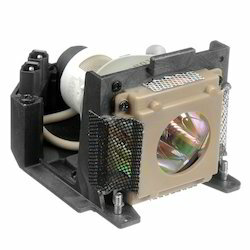 Truly compatible, these projector lamps are available in variegated ranges and specifications and deliver outstanding performance for pretty long period of time. Besides, these are offered at suitable prices to our beloved clients. 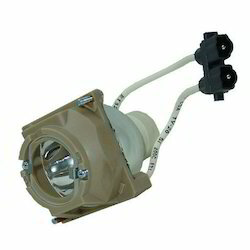 Our company is widely appreciated for providing Avio Projector Lamp to the clients. Offered range is manufactured by vendors’ professionals in obedience to the quality standards using the best quality raw material and ultra-modern technology under the guidance of experts. This product is duly tested on several parameters of quality in tune with defined industry standards.